Government announced Thursday that all nuclear plants would face "stress tests"
Tokyo, Japan (CNN) -- Local government officials criticized Japanese Prime Minister Naoto Kan and his cabinet Thursday for giving mixed signals over the resumption of nuclear power plants shut down since the March 11 earthquake. Since Japan relies heavily on nuclear power, the government has been keen to resume operation of nuclear plants to ease a power shortage. 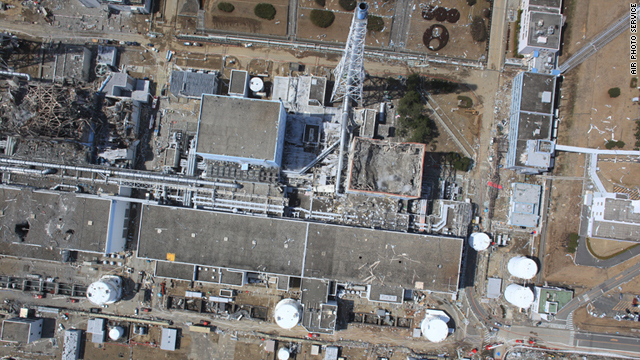 Plants were shut down when the Fukushima Daiichi Power Plant was damaged in the earthquake, leading to a nuclear crisis. On Wednesday the government made a surprise announcement that it would conduct "stress tests" on all of the country's nuclear plants to regain public confidence. The announcement, however, shocked local officials who had given their consent to restart the reactors at the Genkai plant -- the first among the 18 idled across the country. The stress tests -- computer simulations to evaluate how the facilities would cope in various natural disasters such as earthquakes or tsunamis -- are expected to take several months. This would mean a further delay in the resumption of nuclear plant operations, if local governments are to wait for results of the tests. In a meeting with Japan's Chief Cabinet Secretary Yukio Edano, Yasushi Furukawa, the governor of Saga prefecture where Genkai Nuclear Power Plant is located, questioned why the stress test announcement was being made after the local government had consented to restarting the reactors. Because of the controversy, Furukawa said he was not ready to permit operations to resume after the stress tests. In a similar move, Hideo Kishimoto, the mayor of Genkai, also withdrew his consent for restarting reactors at the plant. "Personally I feel I would like to retract it and think from scratch," he said. On Thursday Banri Kaieda, Japan's Minister of Energy, Industry and Trade, said at a parliament session that he "would take responsibility when the time comes" over the confusion stemming from his announcement of stress test. The controversy surrounding the nuclear power plant "stress tests" is the latest to cause trouble for Kan's Cabinet. On Tuesday his minister of reconstruction, Ryo Matsumoto, resigned after only nine days after making insulting remarks to the disaster victims. He has since been replaced Tatsuo Hirano.